Necklets, Bracelets and Bangles	There are 17 products. 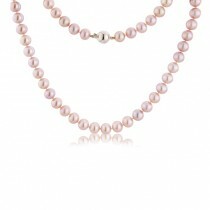 Sterling silver multi-colour treated freshwater pearl necklace. 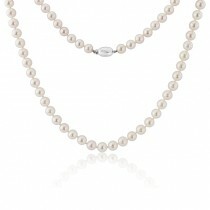 Sterling silver 18" freshwater pearl necklace. An expandable bracelet featuring colour treated freshwater pearls. 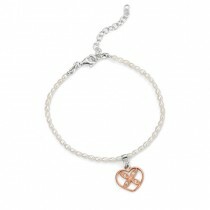 A sterling silver freshwater pearl adjustable bracelet with rose gold plated sterling silver heart charm. 9ct Gold Freshwater Cultured Pearl Necklace - 16"-18"
An elegant 9ct yellow gold plain trace chain necklace incorporating eight freshwater cultured pearls in the middle section. The chain is extendable from 16 to 18 . .
A beautiful moonstone bracelet from designer Mark Milton, featuring wonderful smooth moonstones in individual bezel settings. Made from vermeil (18ct yellow gold plated sterling silver) this 7.25 bracelet is the perfect gift for yourself or a loved one. The total stone weight is 36cts. Matching items are available. Please contact us for details. Freshwater Pearl Necklace - 16"
Sterling silver 16-inch single row white freshwater pearl necklace. Single row white freshwater pearl expandable bracelet. A knotted bracelet of synthetic pearls with a sterling silver cubic zirconia trigger clasp feature. Approx. length: 7 inches. Matching earrings and necklace available.